If these ruins from this once beautiful city could speak to us, what stories would they tell us about the inhabitants? 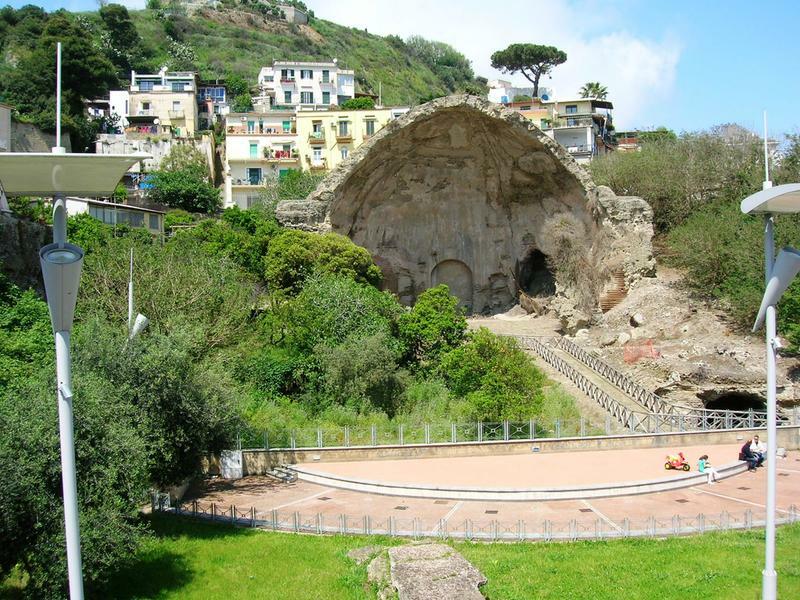 Baia, Italy was an ancient city of Rome that was on the shore of the Gulf of Naples. Now it is considered part of Bacoli in the region of Campania. From 100 BC to 500 AD, the extremely rich and elite were the ones who had built luxurious villas in this area and Baia was one of these resorts that stood for centuries. At one time, this resort was a place of self-indulgence and it was said to have been full of corruption. 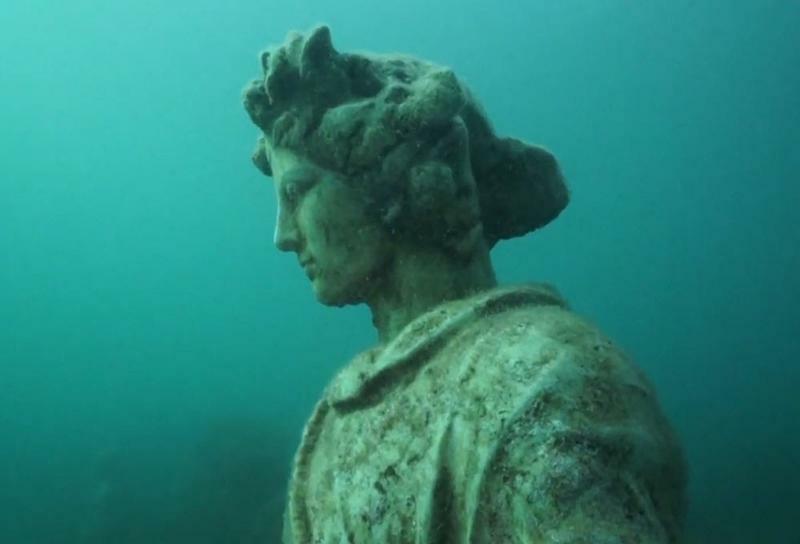 If these underwater sculptures could speak, what secrets would they tell us? Would they tell us about the volcanic activity that had a hand in causing this part of the town to be submerged in the sea? 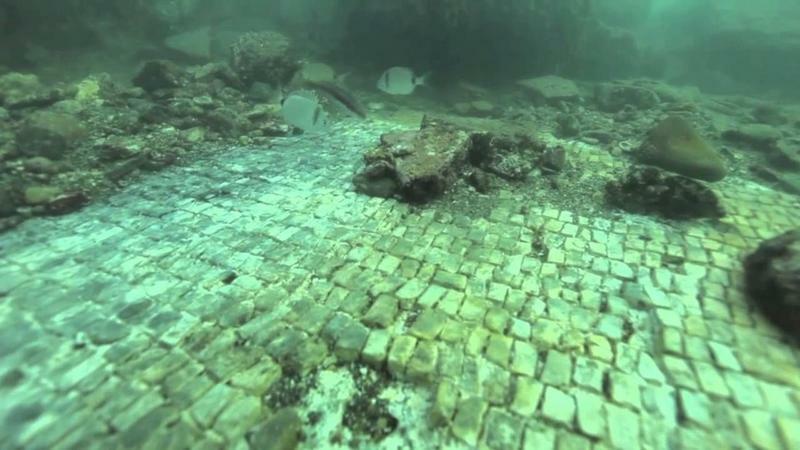 Interestingly, underwater research was done by archaeologists which revealed that many of the finer buildings were protected in the park. The city itself was named after the helmsman of Odysseus’s ship in Homer’s Odyssey, who was said to have been buried close by. Even though the area was an active volcanic area, the city was still built on the Cumaean Peninsula in the Phlegraean Fields. Pictured here is a headless sculpture, so this one cannot speak. Although not depicted in this particular picture, the head is actually not too far away from the body. Historical figures like Julius Caesar had a villa in this city and a lot of the town became the property of Augustus. Nero also had a villa built here in the middle of the 1st century with Hadrian, a Roman Emperor, dying here in 138 AD. There was also another emperor whose name was Septimius Severus, who loved the place, as it was his favorite place to be. 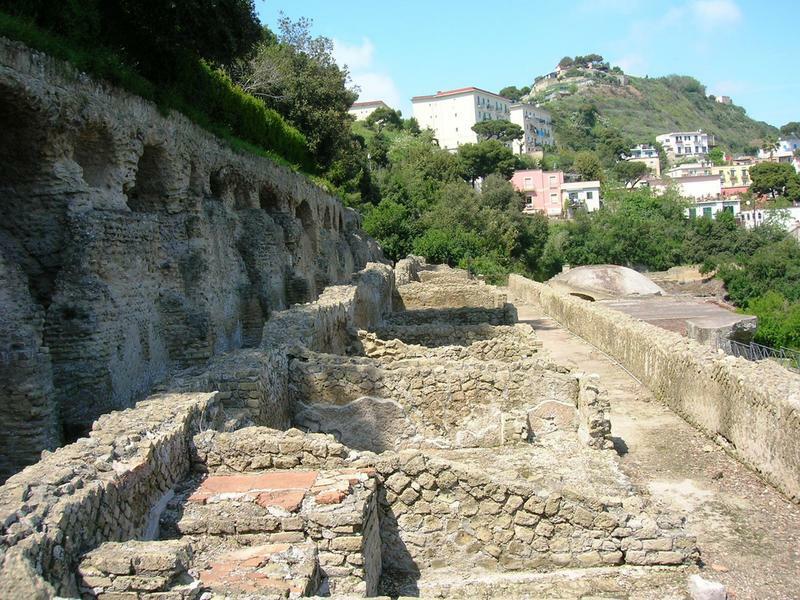 Items were left on display here that once belonged to Pompey’s daughter, Pompeia Magna. She had given them to Tiberius – items such as a brooch, a cloak and gold bulla around the time of 120 AD. 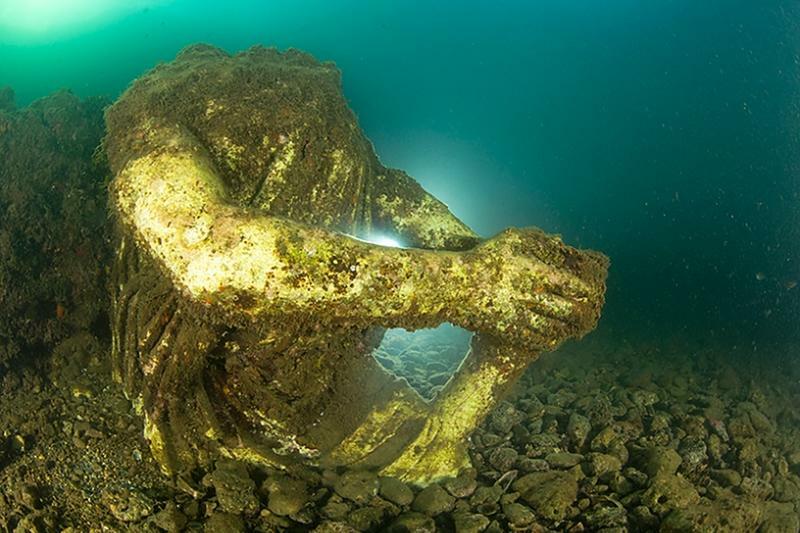 Many Roman sculptures had been excavated including the Aphrodite of Baiae, which was before 1803. Important archaeological excavations that were done in 1941 included layers of buildings, thermal complexes and various villas from different ages like the Augustan age and the late Republication age. The ground was lowered below sea level in two phases. The first phase was between the 3rd and 5th centuries and then submerged more substantially a century later. By the 8th century, the lower part of the city was largely submerged by the sea. Plaster casts of Hellenistic sculptures were discovered in the cellar of the Baths of Sosandra, which are now being displayed at the archaeological museum of the city. 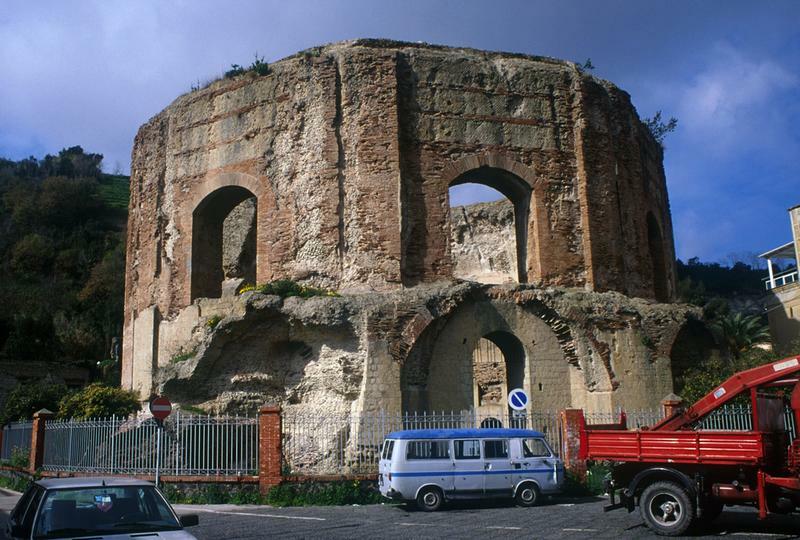 There were a few temples in the city and these structures were dome-like in nature, which included the Temple of Mercury, the Temple of Diana and the Temple of Venus. 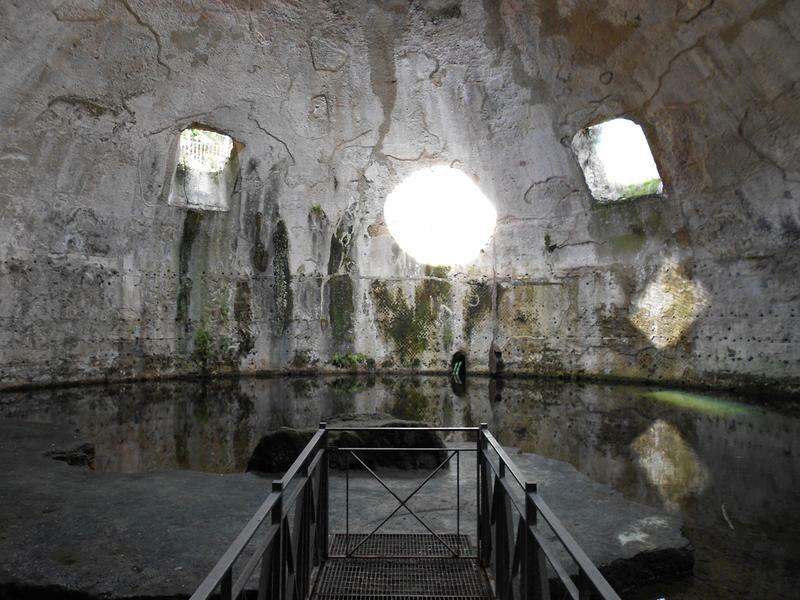 The Temple of Diana was used for thermal baths as it was collecting vapors from the ground below which is now half-collapsed. The Temple of Mercury has a 71 ft. dome, which is the largest in the world, constructed of large tuff blocks and has a central hole in the dome. It was and is used to enclose the cold pool of the public baths. 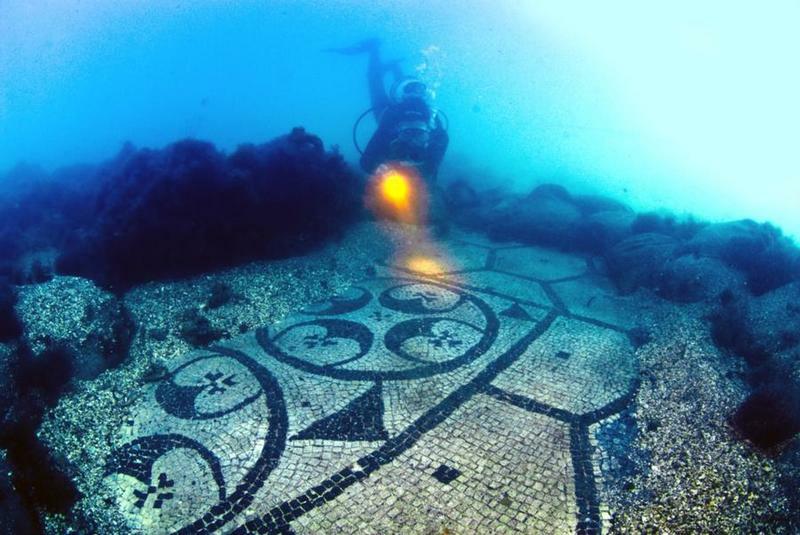 The Temple of Venus was shaped like an octagon sunken in the ground 3 meters in diameter having eight large arched windows with a balcony overlooking the pool. Scipione Mazzella claimed he found the statue of the goddess there. The “Villa of the Ambulatio” looks out over the sea with six terraces connected to each other by several sets of staircases. The last staircase leads to the “sector of Mercury.” With an extraordinary view of the gulf below it, there is a long corridor that has two naves on the second terrace. 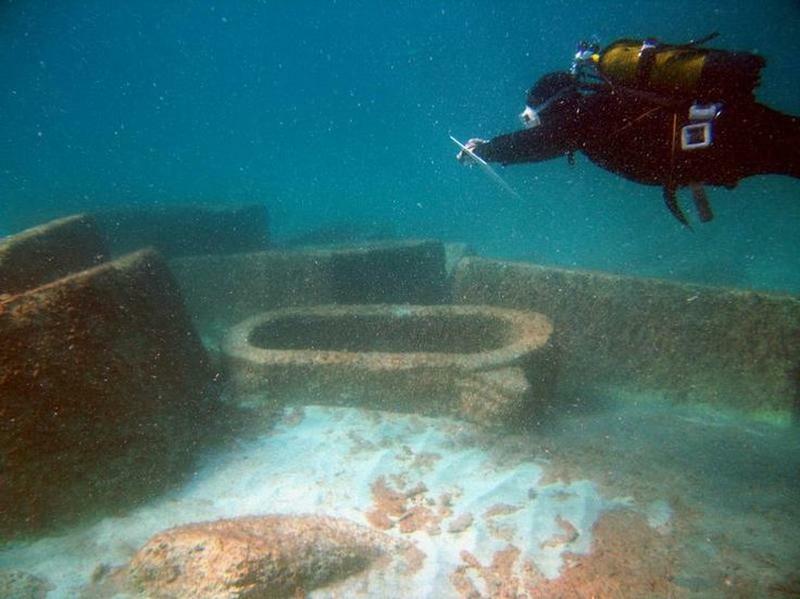 Visitors can view the underwater ruins. 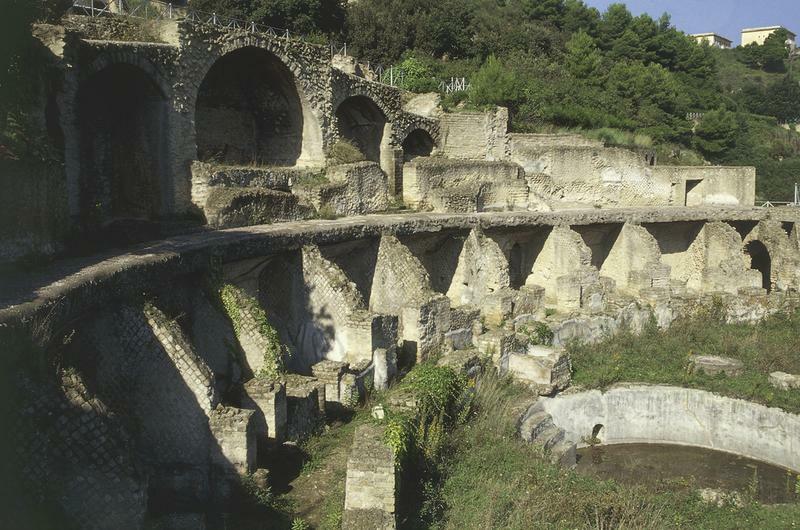 Having been a prominent resort city for so long, catering to the powerful Roman elite, the city was also famous for having healing hot springs that were medicinal. 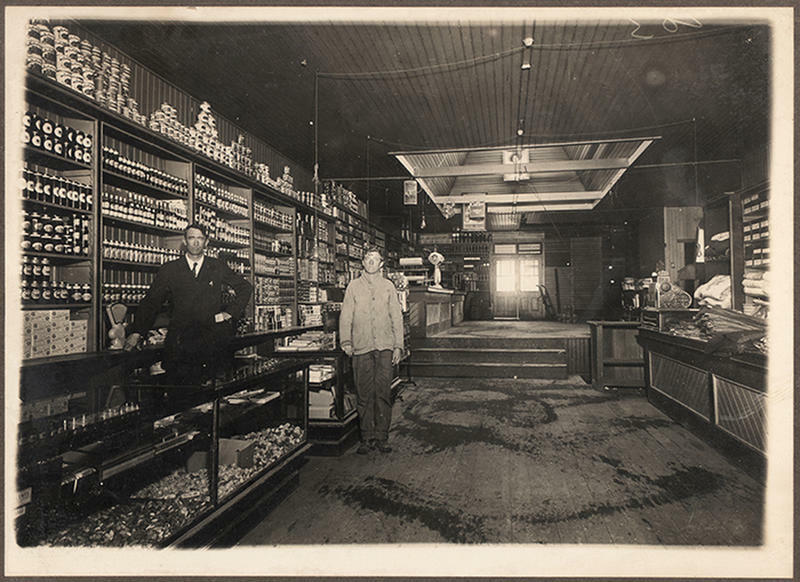 Because these springs were all around the city, it was easy to build spas over them. As beautiful as this underground city was, it did not last as the Saracens sacked it in the 8th century and by 1500, the only remains were abandoned. Once the place was abandoned, the water level rose because of volcanic action and drowned most of the ancient ruins. It still makes a beautiful underwater park where visitors can snorkel or scuba dive down into and/or even view from a glass-bottomed boat.